In 2016 I was given an order to bake 700 mustache shaped cookies for Movember. There was no way that I could have done them all on my own. I baked the cookies and my friend Erika decorated them. Her decorating skills are amazing. She shared her cookie recipe with me that she was given at school. I’ve tried similar cookies in the past but these are by far the simplest and the best. I’ve lost the recipe twice and have now asked her permission to post it here so that I don’t have to keep asking her for it. (I’ve also written it out onto an index card for my recipe box). The cookies are great decorated with melted choc, modelling icing or water icing. 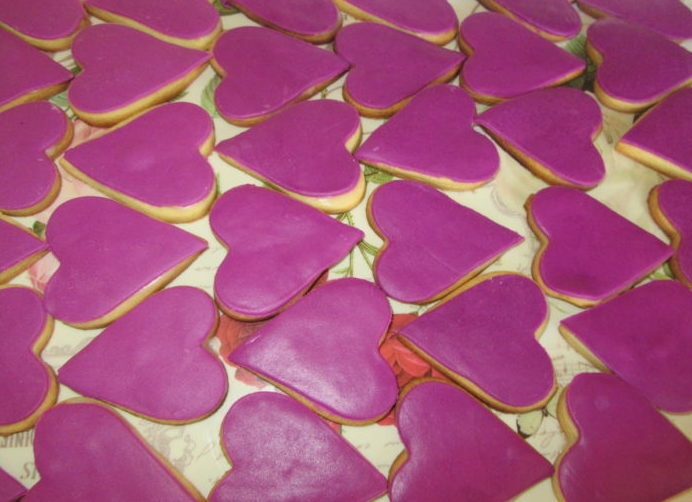 Today I baked heart shaped cookies for a school class and decorated them with modelling icing. To do this you roll the icing as thin as you can, use the same cookie cutter to cut them, and ‘glue’ them on with icing sugar mixed with water. In this instance, amazingly the recipe made exactly 68 medium heart shaped cookies and I may have got 69 out of the 250g packet of modelling icing. Cream the butter until light and fluffy. 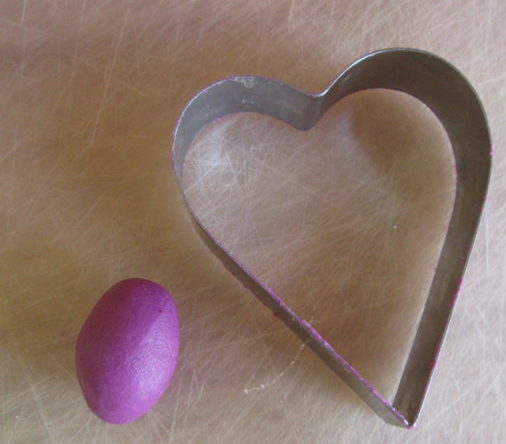 Beat sugar, eggs and vanilla essence into margarine. Slowly add the sifted ingredients into the margarine mixture until well mixed, Knead well but lightly together. Work with a quarter of the dough at a time, wrapped in plastic -refrigerate the rest until ready to be used.